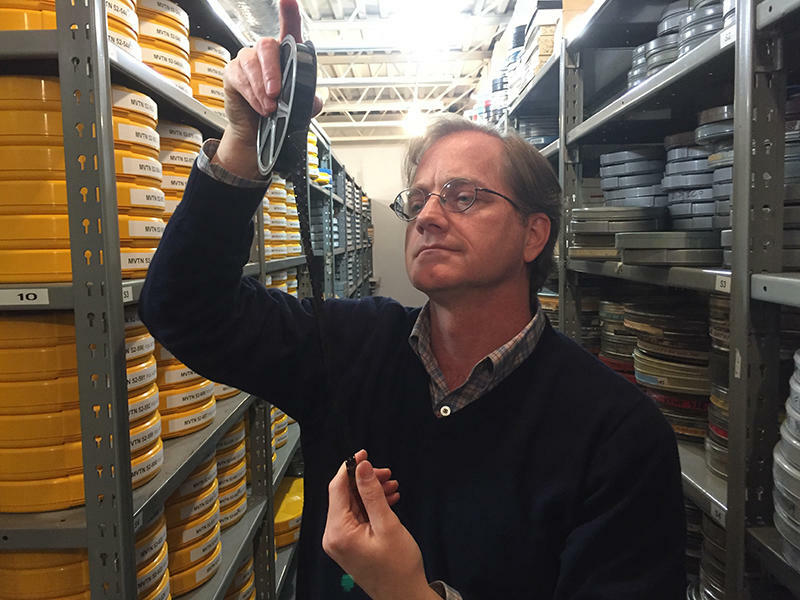 Greg Wilsbacher, checking film in USC's Moving Image Research Collection. 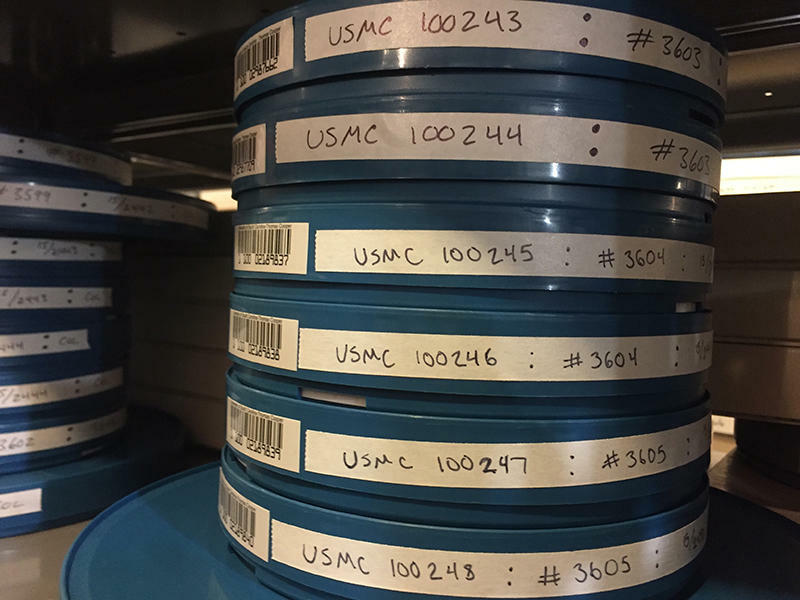 Cataloged cans of Marine Corps film. Most of the film received thus far by USC can be seen online at mirc.sc.edu. Greg Wilsbacher reviews Marine film from the Vietnam era. 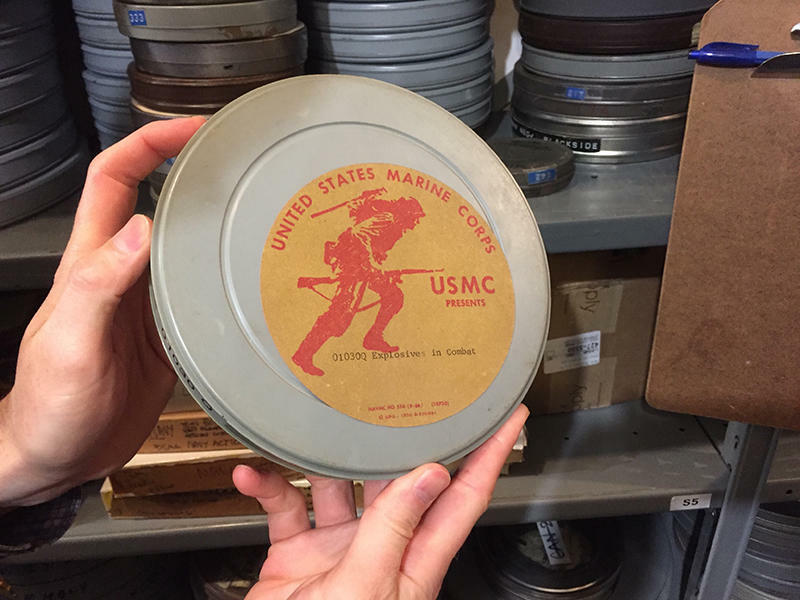 This can of Marine Corps film is one of 1,500 received thus far by USC's Moving Image Research Collection. There are 16,500 more cans of film to be shipped. 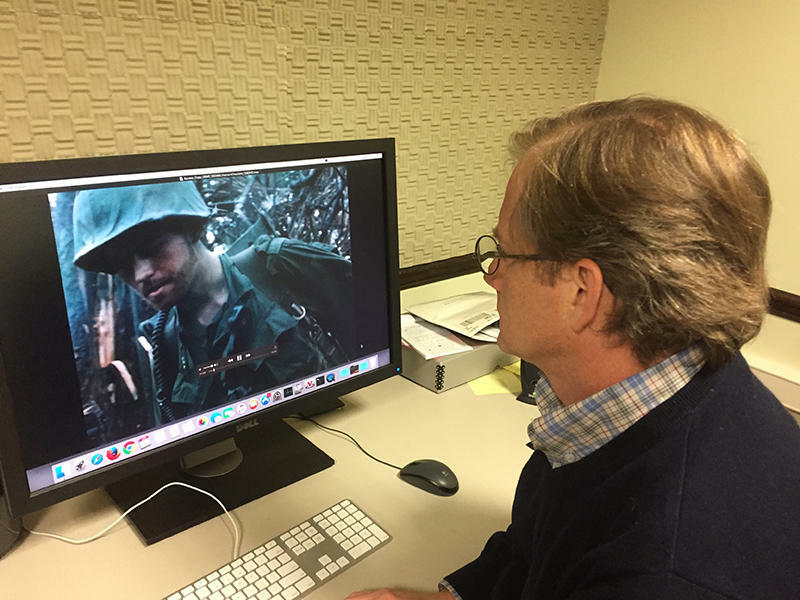 Curator of Newsfilm Collections Greg Wilsbacher says the MIRC’s reputation has evolved, and that the World War II film has impressed most, out of all the film he’s seen thus far (though there’s much more to come). According to McNally, the university will digitize the entire collection and put it online (some of it can already be seen at mirc.sc.edu) for everyone to see and use, free of charge.